Ragweed. Pet dander. Tree pollen. Mountain cedar. 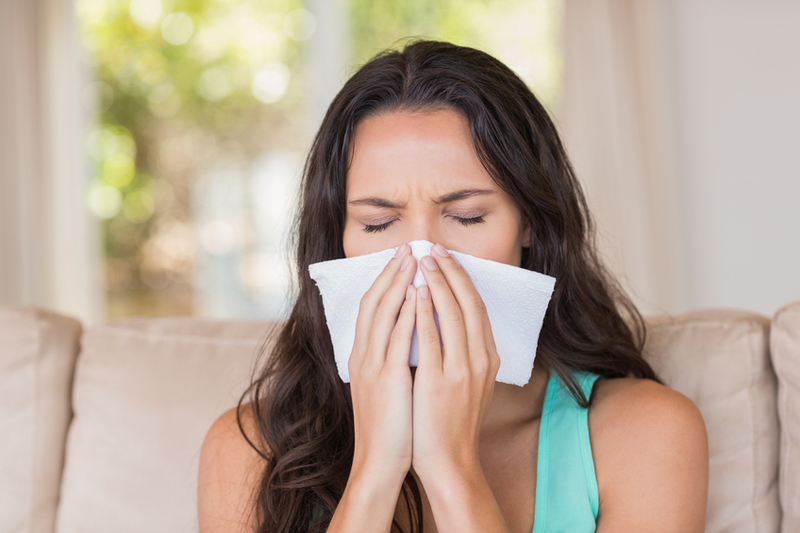 Regardless of what’s causing your allergy symptoms, the sniffling, coughing, sneezing and itching are a major downer any time of the year. Before you reach for the antihistamines, look around the house. Odds are you already have many of the tools—your appliances—that can reduce the level of allergens in your home and help you breathe a bit easier. Vacuum: Vacuums with HEPA filters can be helpful in removing both ground allergens, like dust mites, and airborne allergens like pollen. A stick vacuum may be a convenient option to help you remove dust mites from the hard surfaces in your home between regular cleaning sessions. Finally, consider having someone who doesn’t suffer from allergies do the vacuuming. Dehumidifier: The dreaded dust mite thrives in a human environment. “The more people, animals and humidity, the more dust mites,” Bowser said. Dust mites live year round, which means you have to take year-round precautions. Dehumidifiers can help reduce the humidity in your home and give the mites a less-favorable environment. “The recommended humidity is under 50 percent,” Bowser said. Bajowala recommends purchasing a humidity monitor to check your levels. Keep in mind that any appliance that uses water has the potential to grow mold, so follow the manufacturer’s recommendations for cleaning.